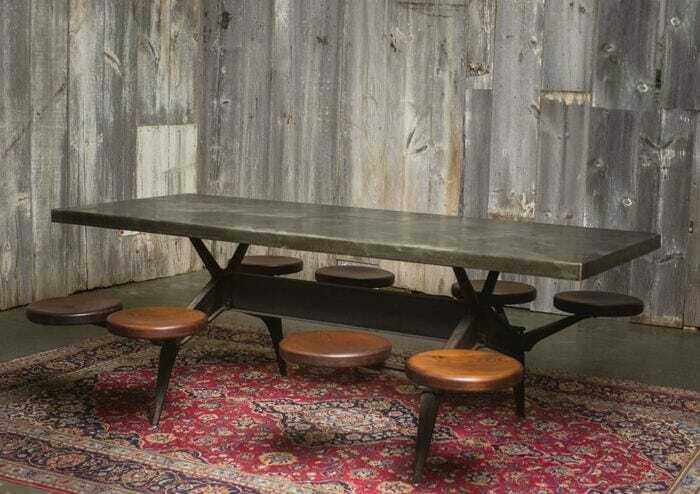 Industrial swing out seat table. It was most likely used in a cafeteria during the ’40s or ’50s. 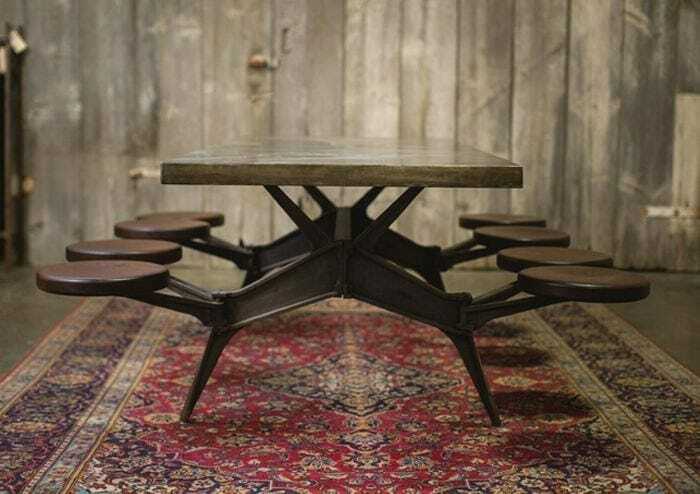 The cast iron base and arms are original, while the steel-wrapped pine tabletop and eight oak seats are new. Clever engineering keeps it from tipping over even if there’s an uneven crowd seated on either side.